(FILE UNDER "X-FILES REALITY WATCH") Apocalyptic themes are increasingly dominating the media stream these days. I became aware of this story via a Joseph Farrell video update, and it tied quite nicely into a story I've been watching. Today is "Asteroid Day," a newly-minted holiday to go with the recently made-of-whole-cloth "fireball season". Now we hear that NASA is planning yet another quasi-military operation in orbit, this being an asteroid hunting mission. The Conspirasphere has been humming along with low rumbles of an imminent asteroid collision (or some variation thereof), hence all the stories of massive tunnel cities and so on. Farrell places all this in the context of the claims of Carol Rosin, the former secretary of Wernher Von Braun, who allegedly confided in her about a secret agenda about the weaponization of space, starting with a Communist threat, a terrorist threat and including an asteroid threat. My problem with this narrative is that Von Braun knew full well that the original impetus behind the space program was itself military (see Project Horizon), and Communism and terrorism were already seen as serious problems long before the early 70s when this conversation reportedly took place. 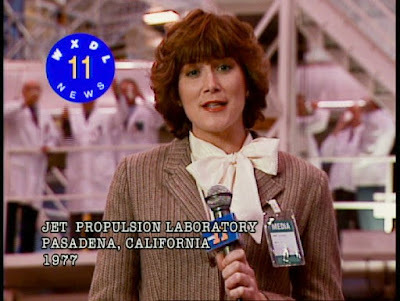 Hollywood was conditioning the world with imagery of an alien threat since the early 50s, so that's not a news flash either (Rosin believes extraterrestrials are benevolent). And all you have to do is look at the Moon's craters to realize that the threat of asteroids and meteors- and even comets- isn't imaginary. The space agency is teaming up with the National Nuclear Security Administration to work on a planetary defense plan to deflect a potential doomsday asteroid so it doesn't strike Earth, according to The New York Times. Last week's announcement came ahead of the first official "Asteroid Day" on June 30, a day scientists hope will raise awareness of the threat posed by near-Earth objects and encourage governments to develop a better plan to detect and track them. June 30 is the anniversary of the 1908 impact of an asteroid in Siberia that wiped out some 800 square miles of forest. The surprise impact of the 2013 Chelyabinsk meteor, which caused a 500-kiloton airburst over Russia, shows potentially threatening space rocks are still out there. In 2013, researchers at the Asteroid Deflection Research Center at Iowa State University came up with a plan to use a two-section spacecraft to first smash a hole in the asteroid, then dump a nuclear weapon into the crater to blow it up. Bong Wie, the center's director, told Space.com that 99 percent of the pieces left would miss Earth, and most of the rest would burn up in the atmosphere. However, NASA said those smaller pieces could still pose a problem, and the best approach is to deflect rather than destroy. "The trick is to gently nudge the asteroid out of harm's way and not to blow it up," the agency states on its Near Earth Objects website. NASA has also said that some asteroids may be deflected without the use of a nuclear weapon. "For the far more numerous asteroids that are smaller than a few hundred meters in diameter, if we have adequate early warning of several years to a decade, a weighted robotic spacecraft could be targeted to collide with the object, thereby modifying its velocity to nudge the trajectory just enough that the Earth impact would be avoided," the space agency wrote in another report. The problem, the agency said, is that we may not have "several years to a decade." Farrell repeatedly muses if in fact asteroids are not the actual concern, that it might indeed be something else. I might remind you that despite all the endless ridicule of "UFO buffs", scientists are spending a lot of time looking at space and talking about aliens these days. The Catholic Church is controlled by the Jesuit Order at present, who also spend a lot of time looking at space and talking about aliens. And here's where we get to the X-Files Reality Watch. Mulder and Scully travel to Houston after a NASA employee, Michelle Generoo, shows them evidence that a space shuttle may have been sabotaged. They had recently had to abort a launch just seconds before lift-off and another launch is now scheduled. The second launch goes off without any problems but ground control is soon encountering difficulties communicating with the craft. It's all related to something that happened to Belt during his last Gemini flight and it's now affecting his judgment. Why do I bring this up now? Well, recently this story made headlines all over; yet another example of strange anomalies wandering into the sightlines of the ISS cameras. And yet again, an example of NASA cutting the video feed as soon as the anomalies are seen. A video was recently published on YouTube purportedly showing two UFOs leaving the Earth shortly before NASA’s ISS signal is abruptly cut. This footage is one of a few others that allegedly show NASA’s live cam feed being cut after an unidentified flying object is seen exiting the planet’s atmosphere. In the clip, two (actually three- CK) seemingly small, glowing objects are spotted leaving the Earth’s atmosphere and hurling into space. Then, just moments later, NASA’s signal was gone and an error message appeared. The loss of signal right after the UFOs were witnessed leaving the Earth is quite suspicious to say the least – and, according to UFO conspiracy theorists, this video further offers proof that NASA is indeed trying to cover up the existence of extraterrestrials. Of course, the lights could have been satellites and ISS may have just happened to have had an issue with their live feed at that particular moment — or, as some have suggested, the video could be fake. Still, whatever that flying object was, or wasn’t, this isn’t the first time NASA has been accused of cutting ISS’s signal after a UFO was spotted. Back in January, a UFO was captured on the space station’s video feed, but shortly after it was seen rising over the Earth’s horizon, NASA’s signal went black. The lights in question are small and indistinct, apparently a function of distance. It's amusing to see the press twist themselves in knots explaining the anomalies, saying they were just space debris one minute or they were obviously satellites the next. More disturbing is how many different news outlets run the same exact news story of this event as they do with so many others, including many stories that are of far greater immediate importance to their readers. The Internet has created the illusion of a free press but in fact what most outlets run are wire reports and press releases. Now, you may be asking what do these two stories possibly have to do with each other? And how do they tie into the more serious issues I was raising earlier in the week? Well, you may have noticed the explosion of the Falcon 9 rocket on Elon Musk's birthday, a perfect example of things not always going the way of rich and powerful men. The flow of events has its own vote on how things will unfold. As it turns out, there's been a string of space disasters recently, following on the heels of these anomalous sightings. 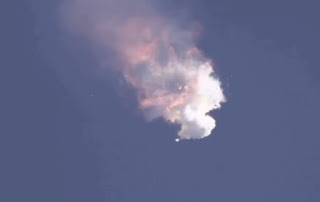 The first in a series of accidents came in October, when Orbital lost its Cygnus cargo carrier due to an apparent flaw in the Ukrainian-made engine aboard its Antares rocket, which exploded shortly after liftoff from Virginia. In April, the Russian space agency lost communication with its ISS-bound Progress cargo capsule, which burned up on re-entry to Earth's atmosphere two weeks later. Then, SpaceX's Falcon 9 rocket exploded just over two minutes into its flight Sunday, with the Dragon cargo ship and its 4,000 pounds (1,800 kilograms) of expensive gear falling to pieces in the Atlantic Ocean near the Florida coast. "This is a blow to us. We lost a lot of important research equipment on this flight," said NASA Associate Administrator Bill Gerstenmaier. Crew members living in orbit have plenty of food and supplies to last for the next four months, NASA said, but officials admitted that no amount of planning could have prepared them for three major accidents in a row. The next Falcon-9 launch has been delayed indefinitely. "Space", thou art revenged. Mere coincidence? Maybe, if you're the kind of person that believes in mere coincidence.